Justin is smart and dedicated to doing good in the world. Today, his new book launches. 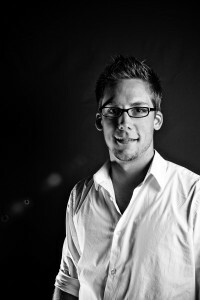 The Social Church: A Theology of Digital Communication fills a need. It looks at the why of social media–how should we think about this and use it for God-glorifying purposes? I asked Justin a few questions a couple weeks ago. Take a read, go buy his book, and think better about how to use social media for good. 1. Are you an unapologetic technophile? A lot of people today are concerned about how social media is effecting us socially and spiritually. What do you say to them? I believe that social media is amoral, without morals. Social media is at the base level a piece of technology. Technology, whether a brick or social media, can be used for good or evil. By that I mean the dangers of social media, and to be clear there are real dangers with using social media, have always been present in human society. Those dangers of course are addictive behaviors, disconnection, estrangement, voyeurism. These are not new problems to the human race. Technology exploits these problems, it does not cause them. Obviously being Christ-centered we know that this ties back to our sinful nature. Technology simply reveals it. One needs to implement boundaries insofar as the temptation is to utilize technology in a way that affects them negatively. 2. How do you see social media leading to better face-to-face relationships? One of my friends, Rhett, was one of the first people who called me up to see how things were going when I left a job a couple of years ago. Rhett and I see each other maybe once a year at conferences. But because he knew where I was at in life and cared about me as a person, he saw what was going on in my social channels. He was able to be a great sounding board for me at a time when I needed friends. Whenever possible offline relationships trump online ones. Having said that, online relationships can continue and strengthen a relationship that has been formed in person. 3. What new risks and new opportunities do social media bring in the area of Christian spiritual formation (i.e. classic disciplines)? I believe social media gives us a much broader perspective into the gospel message. Whenever you’re exposed to an expression of the gospel message that is different than your expression of the gospel message it stretches you spiritually and emotionally. For instance, when I was in seminary, I was in classes with people who believed and thought and practiced Christianity in ways that were very different than mine. They were some of the most faithful, bright, Christ-centered people I knew and yet their conclusions and practices of the gospel message were entirely different. So I was forced to ask the question “Why do I believe what I believe?” and after you answer that question, “Do I still believe these things?” Those questions grew me spiritually in ways that no sermon or book ever has. With social media, we’re able to come into contact with people who have very different expressions of the gospel message—people on the other side of the world who worship the same God, who are filled with the same Spirit, and yet the way they live out their Christian lives comes out entirely different. And so it’s through social media that I’m able to come into contact with that. 4. Do you see social media as important in connecting geographically disparate churches and individual Christians in other contexts, even countries? Why or why not? There’s a concept that I write about in Social Church called “rubbing elbows” and it speaks directly to this where we have the capacity now to rub elbows with people who are very different than us. A perfect example of this: I spoke at a conference in San Diego and there was a pastor there from Guatemala. I followed him on Twitter. Now, his English is admittedly not the best and sometimes you kind of have to read between the lines on his tweets. But I’m getting a front row seat into what God is doing in his church in Guatemala! Are you kidding me? Never, ever, ever, would I have the ability to even know who this man is let alone what God is doing in his church and what is happening there without social media. 5. What happens if the Church doesn’t learn to use various social media effectively in the next few years? What’s your doomsday scenario? What do you fear? Now, having said that, Jesus never made guarantees about the North American church. Specifically, the North American Evangelical church. He never promised longevity for the American church. And one needs only to look to our friends in Europe to see what it looks like when churches begin to go on the decline. The reality is that many denominations are shrinking in membership. Not just getting smaller, but gushing members, losing them at an unprecedented rate. Some of this has been in process for many years but I believe that it’s been accentuated because the North American church has failed to understand and speak the language of the culture. The good news is that the church has always been on the forefront of communication and technology shifts: two-thirds of the New Testament was written by Paul who wrote in letters on scrolls and papyrus, and that is technology. Fast forward to Martin Luther, on the forefront of the printing press. Leveraging technology to build God’s Kingdom. More recently, it’s Amy Sempel McPherson of FourSquare, one of the first pioneers of radio ministry. In fact, she was quoted as saying “We have a responsibility to use this technology to further God’s message.” And Billy Graham was on the forefront of television broadcasting technology, spreading God’s message. For us now in the 21st century, in America and other parts of the world, that technology is social media. 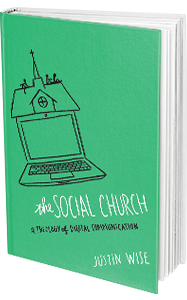 The Social Church: A Theology of Digital Communication goes on sale today. Get it. Is this interview a breath of fresh air or a harbinger of the end? Why?